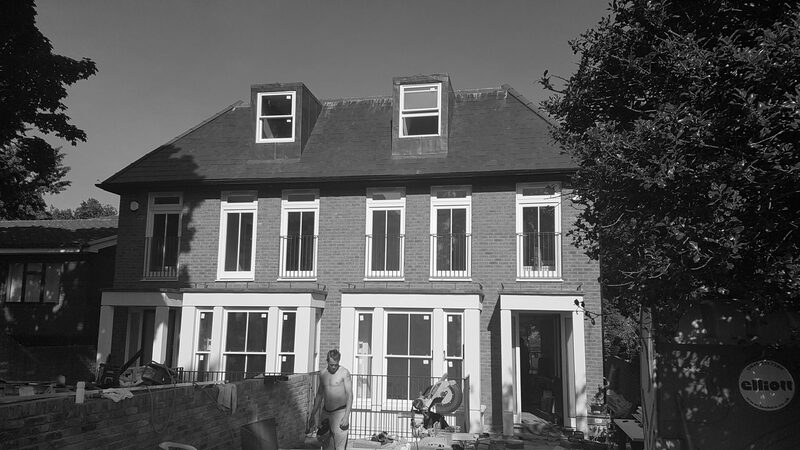 we have been appointed by the client to develop 2 replacement semi-detached houses within a conservation area in kew. planning approval had been granted prior to our appointment. our role has been to develop proposals from an approved planning application through to construction on site. excavation work has been completed over the winter period, with the contractor to implement currently the basement structure. this project is carried out as a design and build contract.